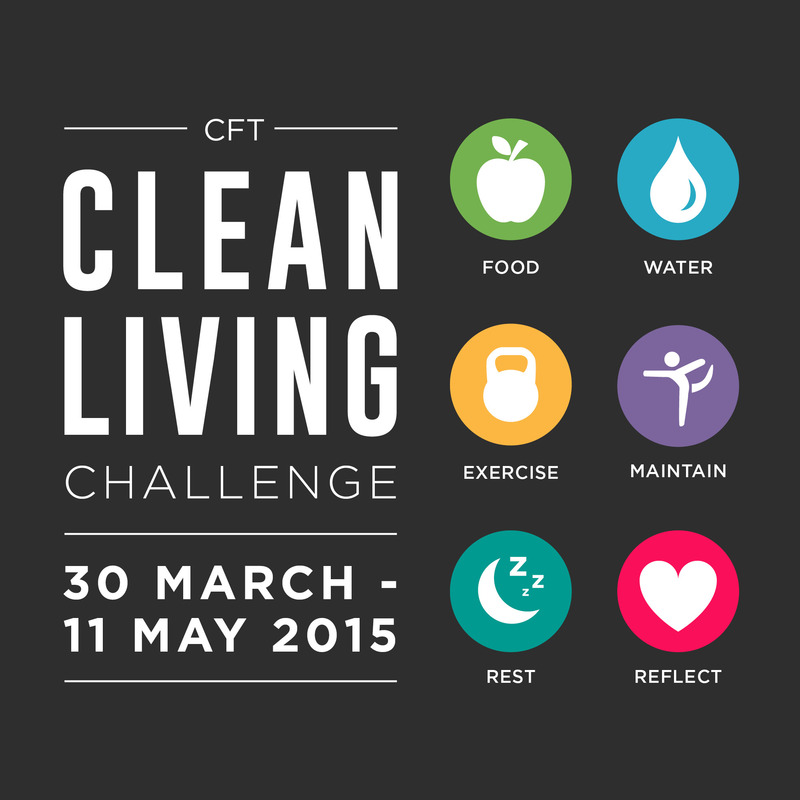 Clean Living Challenge 2015 – The Rules!!! You can join the Challenge in one of three levels. These levels determine the nutrition rules you will follow. You will begin each day with 5 points, and you will lose a point anytime you eat a food that is prohibited on your level’s acceptable foods list. Performance—The strictest level of the Challenge. This should be chosen by those with a vested interest in how their nutrition can help the “1%” that’s preventing you from reaching your goals as an athlete. Strict adherence to diarising every element of your nutrition and proper use of supplementation is an expectation on this level. Sustain—A great choice for those of you wishing to start a healthy eating plan that can be sustained long term. It might be difficult to sustain it perfectly post-Challenge, but the wheels will have been set in motion and desirable habits will have been formed. This is the best choice for those of you looking for more structure, but less concerned with being an “athlete”. Re-Set—This is a great starting point if you’ve just started your health and wellness journey. Easy to follow with less strict guidelines, but still allowing for getting rid of “junk” in your diet. For those of you looking to start over, this is the best possible way to begin. You can earn a maximum of 12 points each day. Enter your daily score on your “Daily Play” spreadsheet at the close of each day, beginning on DAY 1. You will begin each day with 5 points. You will lose a point anytime you eat a food that is prohibited (based on your nutrition level: Re-Start, Sustain or Performance). When you record your score, enter the number of points you have remaining. Your prohibited foods will be included in your Challenge Guidebook. REMEMBER THIS!!! Losing points during the Challenge is normal! Being perfect is unrealistic and you should always choose happiness over assumed perfection! If it’s your birthday, eat some cake! If it’s date night, have a few glasses of wine! Did you intentionally spend 10 minutes doing something that YOU would consider exercise? If so, score yourself a “yes” and earn 2 points for the day. How do we define exercise? Any type of class or activity that encourages movement. For the CrossFitters, this could be a class or a PT session. Going for a run or even having a kick around with some mates would also be considered exercise. The daily requirement for earning 2 points for this habit is 10 minutes of accumulated mobilising or stretching. This can also be contributed to by attending classes such as Yoga and Pilates. If you meet the requirement of 20ml per kg of body weight per day in terms of water consumption, then award yourself one point. This is straight water, nott water consumed as part of anything else. When posting your daily score, you will have a chance to earn 1 point by posting a “Reflection,” or a short recap of how the Challenge is going, what you’ve noticed, what you’re learned, or what you are going to change. Think of your reflections as a public journal. It will be visible to the other participants in the private Facebook group set up at the beginning of the Challenge. Although this isn’t officially a rule, its really important that you read the reflection pieces of other participants and offer support and guidance. Being accountable is a huge part of this challenge, but so is being part of a supportive and inclusive group. The opportunity to accumulate bonus points will present themselves when we release sporadic challenges that can be completed in a limited time-frame in order to add to your score!